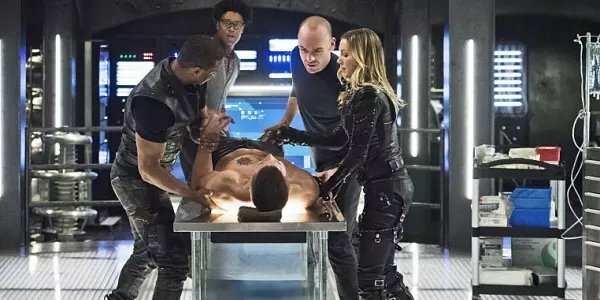 Spoilers for Arrow are in this article, so if you aren't caught up on the last few episodes, go ahead and check out one of our other lovely articles. Arrow has gone through many changes in its fourth season, ranging from an expanded team of crimefighters to a hero who has foregone sleeves as part of his superhero suit. The biggest changes, however, will undoubtedly result from the recent major death that has been foreshadowed ever since the premiere in October. The show followed through on its big threat to Team Arrow and killed off Laurel Lance. Now, a big question remaining is whether or not Quentin Lance will be able to deal with the death of his daughter? According to executive producer Wendy Mericle, that question will definitely be explored in the rest of Season 4. We’ve seen him go off the wagon in the past, and what we really wanted to explore was: How would he want to honor his daughter’s legacy? That will be the question he has to ask himself and answer in the next few episodes. Wendy Mericle’s tease to TVLine about Quentin’s arc in the rest of Season 4 shows promise, especially considering how his reactions to Sara’s death in Season 3 weren’t fully explored. Thanks to Laurel believing that his health would fail if he were to learn of his daughter’s demise, nobody actually told Quentin that Sara was dead for most of the season, so we mostly saw a spiteful and angry Quentin rather than a mourning Quentin. 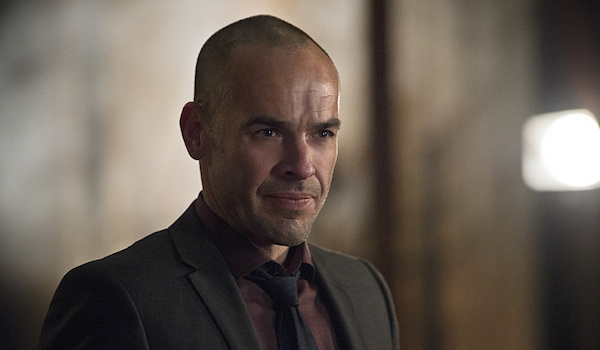 He fell off the wagon, lashed out at Team Arrow, and was a huge pain to the good guys in the second half of Season 3. It was more annoying than compelling; thus, more nuance this year can only be a good thing. Quentin falling off of the wagon again is definitely a big risk. Laurel was always his biggest supporter in sobriety, and losing her could push him over the edge once more. Hopefully, having Donna Smoak in his life to support him will help him stay on the straight and narrow. Given that Season 4 has already featured the resurrection of one Lance daughter, it wouldn’t come as a huge surprise if Quentin’s first move after Laurel’s death is to want to bring her back. Nyssa awesomely took the Nanda Parbat Lazarus Pit out of commission a while back, but Damien Darhk at least has some waters from the Pit stored away, and time travel is a major get-out-of-death-free loophole in the Flarrow-verse nowadays. Quentin may need to see all of the resurrection possibilities exhausted before he really begins to process Laurel’s permanent death. He wasn’t the quickest character to support Laurel Lance, Esq. in her unlikely choice to hit the streets as a vigilante, so his desire to honor his daughter’s legacy may well be tinged with blame for himself. Arrow wouldn’t be Arrow without somebody blaming themselves for another person’s choices, and Quentin may be the one to take up that mantle in the rest of Season 4. Arrow airs on Wednesdays at 8 p.m. ET on The CW. To see when your favorite shows will be coming back in the not-too-distant future, check out our schedule of summer premiere dates.